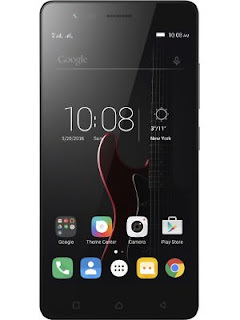 Looking for the best phone under 10000 Rs? 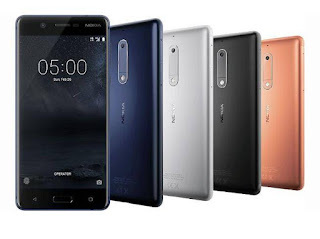 Then you have a difficult task at hand, as, due to the low-cost availability of quality hardware components, there are plenty of excellent smartphones available under 10000 Rs, specially, after the entry of many popular Chinese brands in the Indian market, the budget smartphone segment is filled with many great devices to choose from. But, as every phone has some pros and cons, finding the best smartphone under 10000 Rs. according to your needs is a tough job. So, to help you out, we have written the list of 10 Best Phones under 10000 Rs. in India. This list includes the rankings of the best mobiles under 10000 Rs. The list includes short reviews for all the phones and suggests readers, which phone will be suitable for which types of buyers/requirements. We also suggest the alternatives at the same price and also recommend our readers to increase their budget a little if better deals are available at little higher prices. We update this list every month and it is serving as the perfect solution for buyers in India since years. Xiaomi was quite successful with the Redmi Note 3 in India. It became their best-selling smartphone with over 3 million units sold in India last year. Offering a balance of great design, excellent performance and most importantly a long lasting battery, the smartphone is still considered to be the best budget smartphone to go for. However, smartphones have a short life span. The budget segment today has quite a few new offerings that give serious competition to Xiaomi. Companies like Lenovo, LeEco, Honor have intriguing products that could be a threat to the Xiaomi. 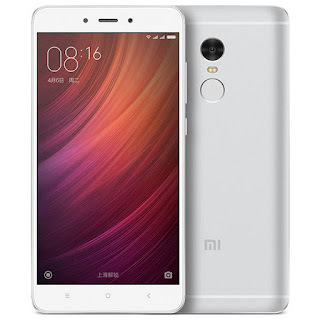 Enter Redmi Note 4. While the smartphone had already made its debut in China last year, the company took its time and launched a more attractive Snapdragon version of the smartphone in India last week at a similar price bracket. At first, the Redmi Note 4 doesn't look very different from its predecessor, but looking closer, you start seeing minor changes. Instead of overhauling, Xiaomi has played safe and done some polishing over the existing design. You still get a metal back, only a bit more polished and more premium. The front is flat with a 2.5D curved glass finish and the back has slight curving closer to the edges, similar to the Mi 5. The gap for the antenna bands get some chrome treatment and the metal edges are now chamfered. 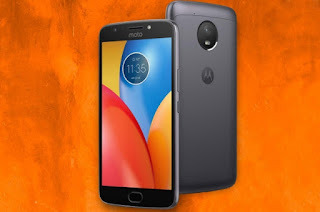 The Moto E4 Plus is the successor to the Moto E4 and is the latest affordable smartphone that regarding looks and design resembles the Moto E3 Power. One of the distinctive features of the device is its large battery. The smartphone sports a 5.5-inch HD smudge-resistant screen which is bright and vivid. Outdoor visibility is also satisfactory considering the price point it comes with. For image lovers, the Moto E4 Plus comes with a 13-megapixel rear camera which is aided with an LED flash so that you click images even in low-light. On the front, the smartphone comes with a 5-megapxiel front-facing shooter for selfies and video calling. 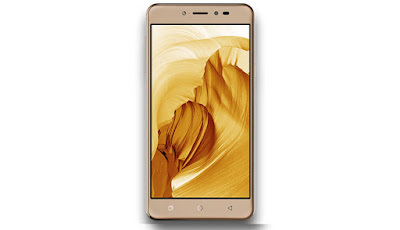 Under the hood, the device is powered by a 1.3GHz quad-core MediaTek chipset which is paired with 3GB RAM to ensure smooth and lag-free performance. With the Moto E4 Plus, you can always expect to have power as the device is fuelled by a non-removable Li-Ion 5,000mAh cell. Connectivity options on the E4 Plus include Wi-Fi 802.11 b/g/n, 4G, Bluetooth 4.1, GPS, and a microUSB 2.0 port. The Motorola moto E4 Plus comes with an internal storage capacity of 32GB which can be further expanded using a microSD card up to 128GB. On the software front, the device runs Android 7.1 Nougat. Cool 1 sports a metal unibody design which feels good in the hand. The phone has slim bezels and looks sharp. The 5.5-inch Full HD IPS LCD display is one of the best in the phone’s price range – giving good colour reproduction. However, the display doesn’t work so well under direct sunlight. Cool 1 features an IR blaster on top of the device, which will let you use your phone as a universal remote control for your TV, set-top-box, DVD, amplifier, air conditioner and other home appliances. The fingerprint scanner is on the back, and works as an active scanner while also doubling as a trigger for selfies. The 8MP selfie shooter on the unit doesn’t disappoint either. The front camera was able to reproduce bright and detailed selfies, with a lot of options to play around in the native camera app. You can use stickers to personalise your selfies further, and also get the capability to make GIFs directly from it. However, the quality of the GIF is not too attractive, or funny. The 4000 mAh battery on the device is also performed exceptionally well for me during the entire review. On light to moderate use, the phone will last you over a day’s use which is impressive because 4G LTE remained turned on the entire time. When I wasn’t using the phone as my primary, it was able to run anywhere close to 13-15 hours just as a Wi-Fi hotspot with the Jio sim. Needless to say, I was always confident to leave the charger behind when I started my day with the Cool 1. In terms of call quality, I never had any issue with the device. Cell reception and voice clarity was crisp, and clear on both ends. 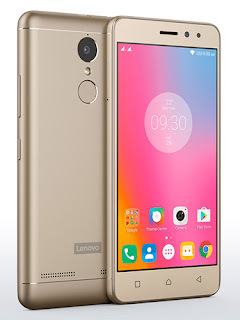 More and more manufacturers are starting to include all-metal designs in their mid-range and entry-level smartphones, so it’s not surprising that the Lenovo Vibe K5 Note features a full metal unibody construction. Admittedly, it doesn’t feel like the highest quality metal when compared to its more expensive and higher-end counterparts, but the construction is sturdy, and the device feels solid in the hand. Below the display are capacitive navigation keys, and unlike its predecessors, the keys do light up, which is a nice upgrade. It’s not particularly bright though, and you won’t really notice it unless you are in a dark environment, but that is when having back-lit navigation buttons is the most useful anyway. The fingerprint scanner is on the back, below the camera unit and the dual LED flash, and at the bottom is the single speaker unit. During the launch event, Lenovo made a big deal about how the camera, the flash, the fingerprint sensor, and the Vibe logo were perfectly aligned and symmetrical. It’s a nice design touch that you don’t really appreciate day to day, but has led me to taking a lot more notice of what other phones look like. 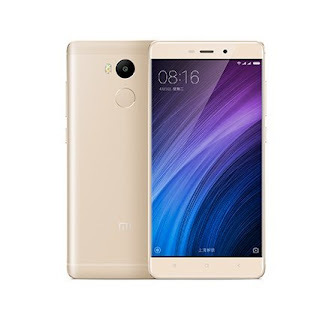 After the huge success of Redmi Note 4 and Redmi 4A, the company has recently launched the successor of Redmi 3S that was launched last year – Redmi 4. Apart from being an iterative upgrade, the Redmi 4 packs in a fingerprint sensor this time around and comes in three memory variants. With a unibody metal construction, the Redmi 4 follows the design language of Redmi Note 4. There are curved edges with a curved 2.5D glass on the front which aids the ergonomics. The highlight of the design is of course the compact form factor owing to the 5-inch display. It fits quite well in one’s palms and single-handed usage is a breeze. The Redmi 4 sports a 5-inch HD display with a 1280 x 720 resolution. There’s a 2.5D curved glass, similar to the Redmi Note 4. It’s toughened glass, although there’s no Gorilla Glass protection. The HD display nevertheless looks fantastic in terms of color reproduction and viewing angles. The images and text looks sharp, and it is clearly one of the best displays on smartphones in this price segment. Maintaining a perfect balance, it is a crisp and vivid display without the colors looking oversaturated. Muscling its way into this exalted company is Lenovo’s K6 Power smartphone. On paper, the phone offers a surprisingly reasonable package and seems like a compelling alternative to Xiaomi’s budget kings. Here’s how it fared in our review. In terms of design or even build quality, the K6 Power brings absolutely nothing new. It has a metal back, the camera module and fingerprint scanner have the same central location and there are no-onscreen navigation keys. There are subtle changes to the power and volume keys, and speaker placement, but that’s about it. You would be forgiven for mistaking this for literally any other budget phone in the market today. The Nokia 3 is one of the best looking cheaper phones on the market right now. If price and the look of your phone matter most to you, the Nokia 3 may suit you well. There's a 5-inch 720p display that offers a clear picture but can be a little dark and some may not love the picture quality it gives them when watching video or using apps. Battery life on the Nokia 3 isn't particularly good so it can mean your phone dies off pretty quickly without you using it a lot. There's also no fingerprint sensor like there is on the Nokia 5. The camera on the Nokia 3 is okay for a cheaper device, but it won't take phenomenal images like older devices from the brand and performance on the Nokia 3 isn't all up to scratch. Much like the Yu Yureka, the Yureka Black is essentially a phone called the Wiko uFeel Prime with the Yu logo instead of Wiko’s. You could criticise the company for that, but really it makes Micromax no different than any other, with their similar looking smartphones. 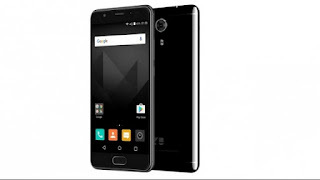 For what its worth, the Yureka Black at least doesn’t look and feel like any of its competitors in the Indian market. It feels slippery when you’re holding it, and tends to slide off your lap or table. It’s a difficult phone to handle, especially with one hand. Things are easier when holding it in vertical position, but it’s a nightmare when held horizontally, for shooting photos, watching movies etc. 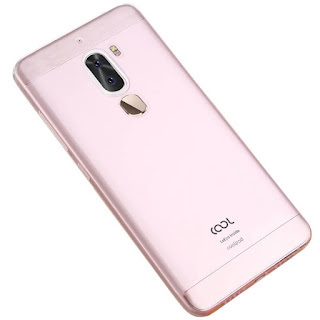 Coolpad has managed to establish itself in the Indian market with interesting value for money offerings in the budget segment. Of course, considering the stiff competition, it doesn’t have a prominent market share, but I'll be honest, their products in the past have been pretty good if not benchmark setters. The back is curved, making it fit well in the hand. The edges have nice looking metallic finish rim that adds aesthetic value. Another interesting addition is the protective scratch-resistant glass over the 5.5-inch display. It is a 2.5D glass which means it is ever-so-slightly curved at the edges. The top has the headphone jack and while the bottom has the microUSB 2.0 port. There are also two very prominent looking screws on either sides of the USB port. Moving to the back, there is the camera which also gets a shiny metallic ring, a single LED flash right next to it, the fingerprint scanner below that and there's a speaker grill towards the base. 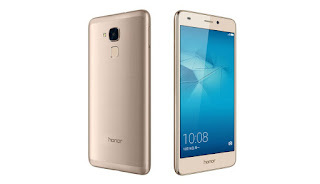 Huawei Honor 5C is basically the successor to the previously launched Honor 4C. The smartphone makes its mark with plenty of changes from its predecessor which makes the latest offering attractive. The device is expected to compete with the LeEco 1s, Redmi Note 3 and Lenovo Vibe K5 Plus. The Honor 5C sports a metal unibody design with curved edges that fits perfectly on the palms and can be carried around easily. The body is made of aircraft-grade aluminum that makes the device lighter than the Honor 4C. Emulating the Redmi Note 3 and the LeEco 1S, the fingerprint scanner is located right below the rear imaging piece. Powered by Fingerprint Identification 2.0, the company claims that the smartphone can be unlocked in less than 0.5 seconds. On the front, the 5.2-inch Full HD IPS LCD display is combined with great viewing angles. The smartphone reproduces vivid and vibrant images which make the screen readable even in the most demanding cases.